This year’s Kaki-kenkyūkai (summer training meeting) took place on August 12th at the Dentōgeinōkaikan in Ōtsu, on the Biwa lake. 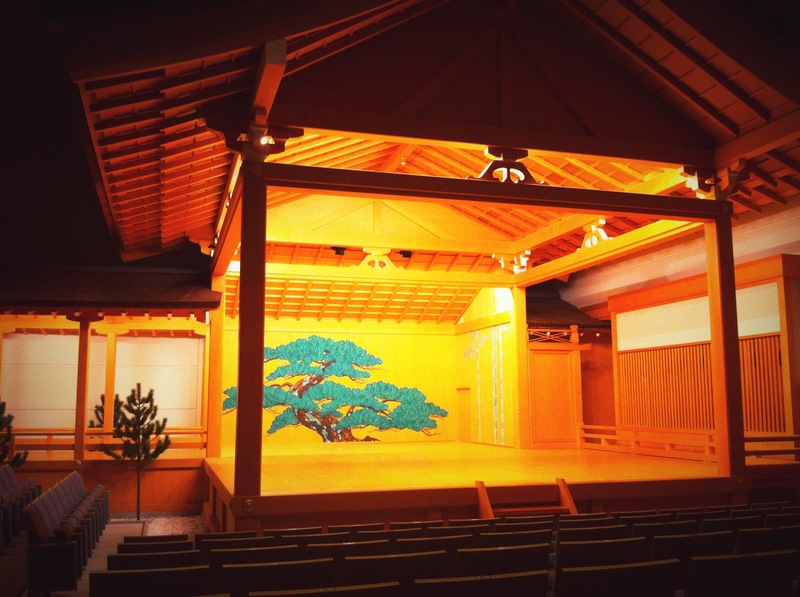 Unlike the Noh stages that belong to families, the Dentōgeinōkaikan is ‘non-confessional’: it is used by various Noh groups. The venue is also used for other forms of performance and traditional arts, such as tea ceremony. This stage is very close to Miidera, a beautiful temple of important historical heritage, famous for its feud against the Enryaku-ji temple after a schism of the Tendai Buddhist sect, and for its bell, which is portrayed in the homonymous Noh play. This is not the first time for me to perform here: I already attended a summer training meeting last year, and I used the stage in order to rehearse for Monique Arnaud’s Makiginu in 2010. 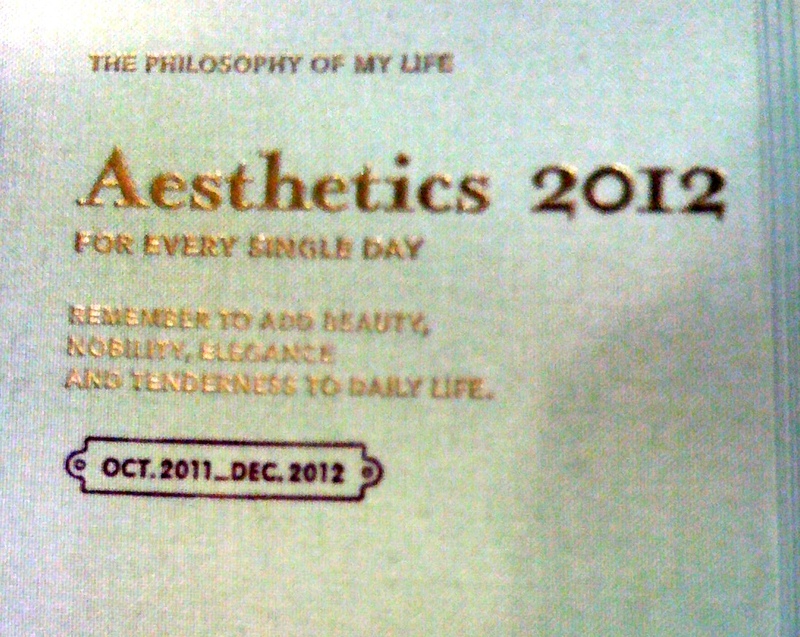 However, this year’s meeting was particularly thought-inspiring. This is how the Dentōgeinōkaikan stage looks like.. when people are not on it. I am sorry for the lack of pictures, but it is not easy to run back and forth between gakuya (backstage) and stalls in order to take pictures. When a kai like this takes place, with more than 20 people involved, there is very little time for souvenir pictures, as your efforts and concentration are 100% projected towards observing, learning, and being ready to help whenever it is needed… I wish we had a professional photographer to document the day! These are the comments that I received for my attempt at Kiyotsune maibayashi. I was not expecting anything different: I knew that I was still too unsure of how to perform certain movements, and most of all of how to time myself properly and follow the hayashi and ji-utai in a meaningful way. In my view, being able to harmonise with the music really is one of the characteristic that distinguish an amateur from a professional. My only ‘consolation’ is that being ‘fast’ and ‘light’ (this being a consequence of not pacing pauses and movements appropriately) is a widely shared issue. Amateurs (and, to be fair, professionals, too) of all arts share the same issue: when in doubt, they speed up. We don’t seem to be able to stay put and appreciate this, say, slow passage before a quick and abrupt stepping forward, or this pause, charged with symbolic meaning, where Kiyotsune stares West before jumping from the boat and drowning himself. ‘Gyutto shite!’ is a remark I often hear from my teacher. Gyutto is an onomatopoeic word suggesting tightening: in this case it means ‘be as compressed and concentrated as possible’. Though this seems to be possible during rehearsal, once on stage concentration and time-control seem to loosen up, and I cannot find that quality of compression I very much enjoy when I notice it in other performers. It seems that whenever the actual performance begins, my sense of time changes, and with it my ability to control and pace myself. Being able to sense the ma, the interval, or pause, which is central to Noh aesthetics, is crucial to a positive movement execution. But what does ‘sensing the ma‘ mean? Well I think part of this sensing is in fact sensual: in order to feel a pause, one must enjoy it – and in order to enjoy it, one must be present, there, and not let one’s mind wander off to other places, or – even worse – feel ‘performance anxiety’. We are so full of thoughts and worries about our future that we often forget that the purpose of being here.. is being here, not there! I am becoming too Zen-like now so I will stop here. I just wanted to say that I think that Noh is an activity that goes beyond the ‘mere’ artistic performance, as the polished surface of the big, resonating stage offers a mirror in front of which we confront with our fears and anxieties. I am pretty sure that this very much is what provides motivation and willpower to continue the study of this tradition.